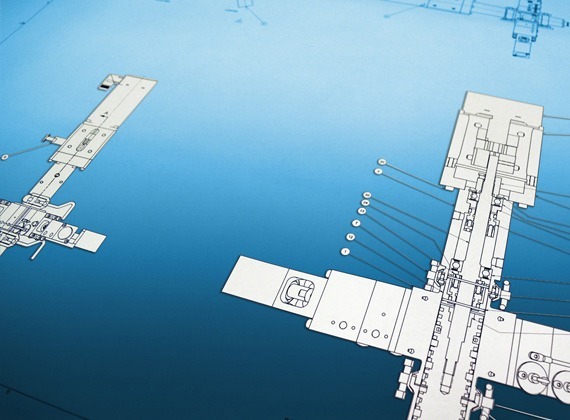 We listen closely to our customers’ process needs and we design all of our machinery with that simple principle in mind. 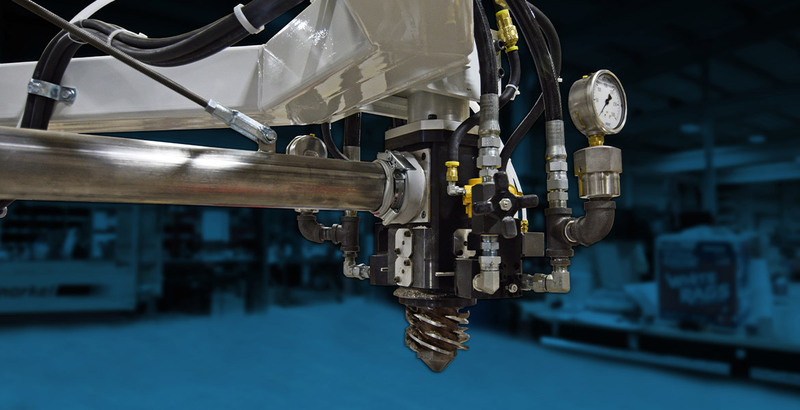 ESCO machinery is designed to stand the test of time and your operators. 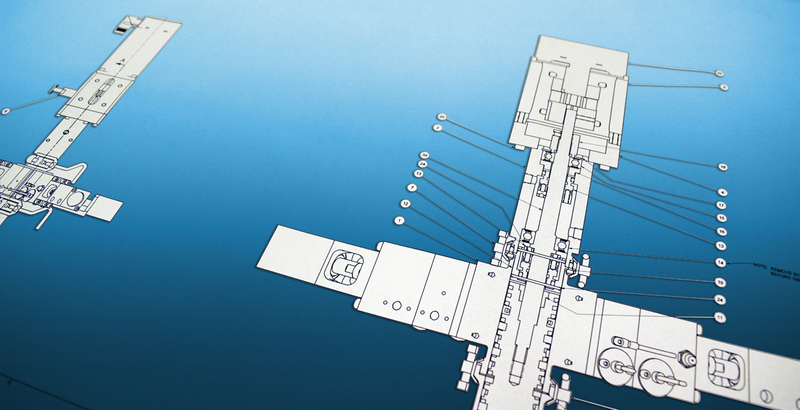 We use only high quality industrial components and build to EU standards. 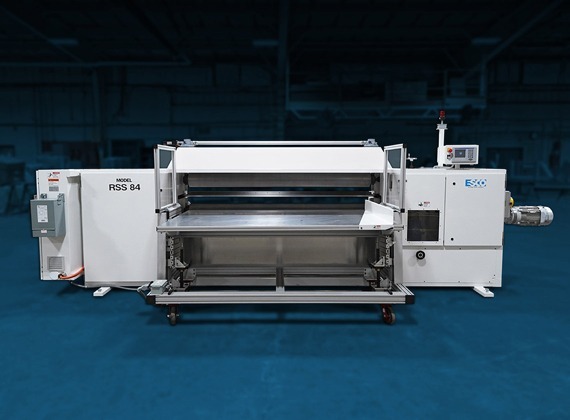 High-speed continuous blade CNC machines offered in both vertical and horizontal formats capable of running both band knife and toothed blades with many options such as turntables, hold-down systems, blade stabilizers, blade sharpening systems. 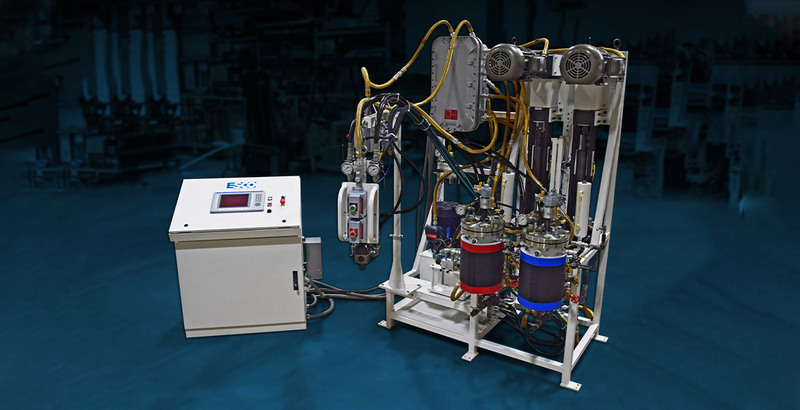 ESCO specializes in low pressure dynamic polyurethane metering, mixing and dispensing technology. 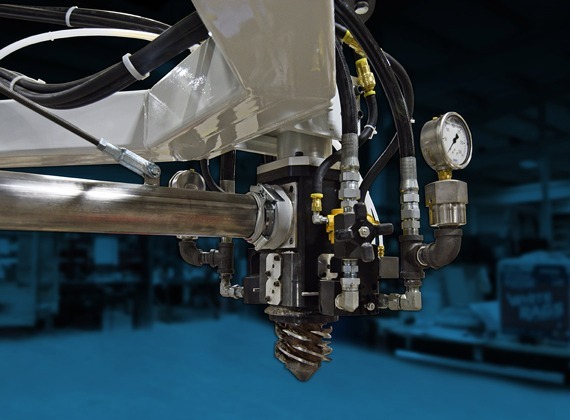 Our high quality low pressure mixing heads are offered in a wide range of flow rates capable of mixing the most demanding PU systems. 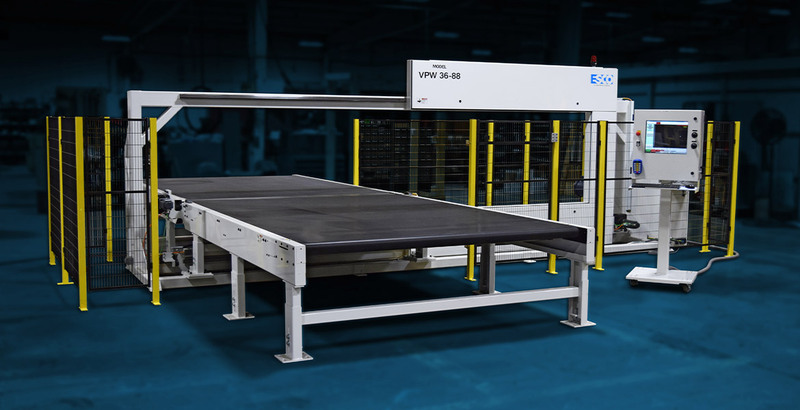 Using ESCO's portfolio of standard machinery and conveyors as a starting point, customers in conjunction with ESCO Sales Engineers can configure automated cutting lines to meet almost any demand. 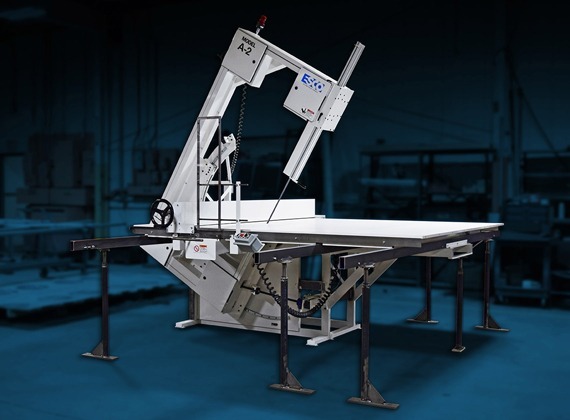 From sheet removal systems to blocking saws and traveling head cutoff saws. 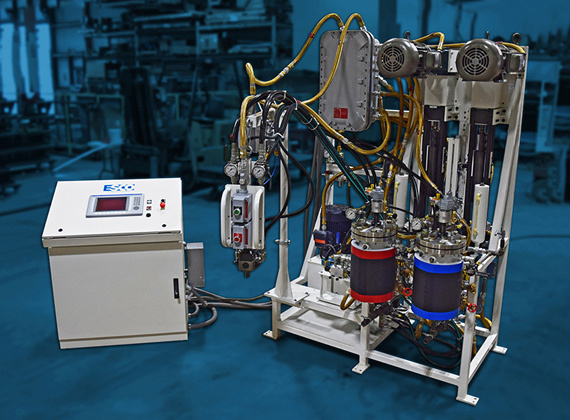 ESCO offers patented solutions for dynamically metering and mixing dry fillers into PU systems. 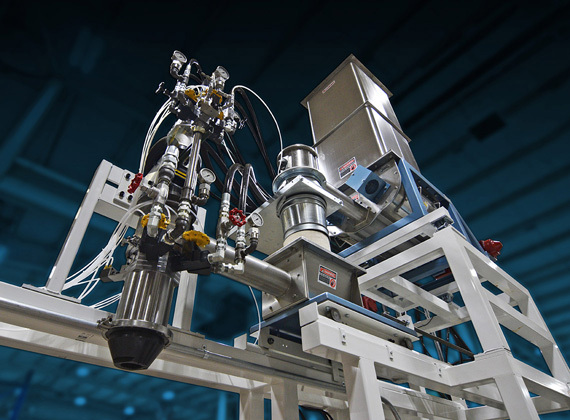 From syntactic elastomeric coatings for deep sea oil pipe to green automotive PU systems that utilize recycled ground tire ESCO has 20+ years of advanced filler processing technology. 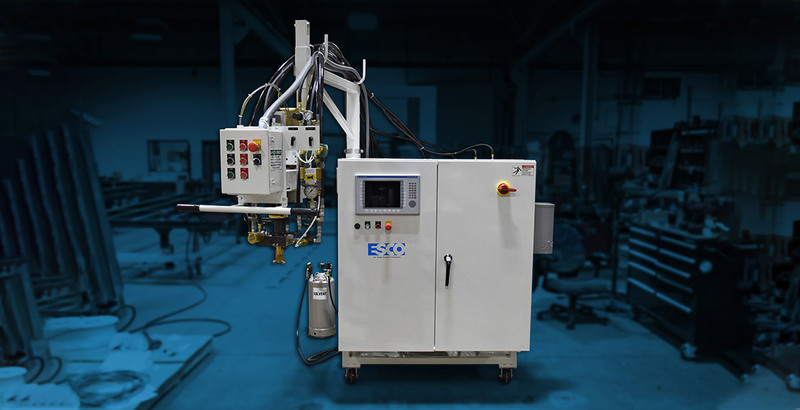 ESCO offers a broad range of horizontal foam saws, from two wheel tilt head saws to automated high-speed vacuum belt and carousel models. 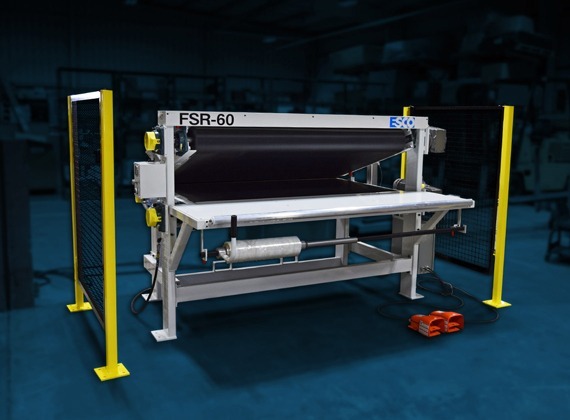 ESCO's slitters are used to sheet blocks of foam such as viscoelastic and high resilience (HR) foams to low density PU foams and even re-bond. 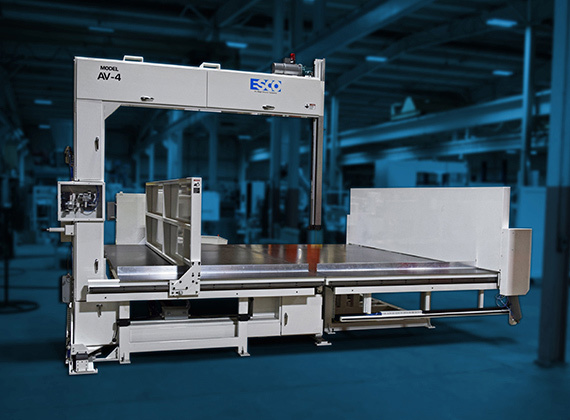 ESCO leads the market with its high performance horizontal, vertical and dual axis abrasive wire saws. 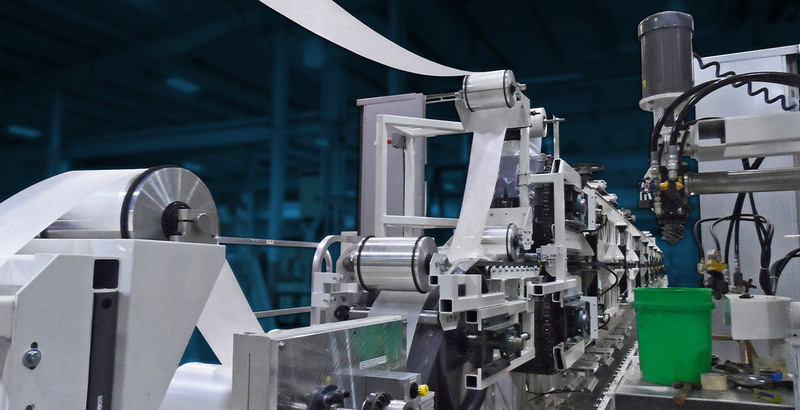 ESCO's ProfileMatic III is the work horse of the industrial pipe insulation market capable of holding tight tolerances in FoamGlas®, PIR, rigid PU, phenolic foams, EPS, and other materials. 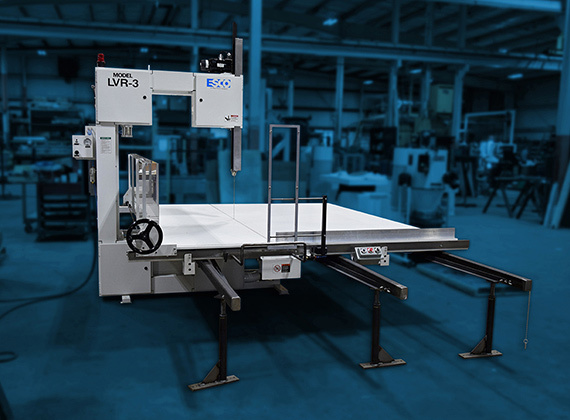 Manual vertical saws by ESCO include small laboratory scale machines for ISO sampling, as well as saws for trimming standard blocks flexible foams, heavy-duty machines for processing rigid foams and specialty vertical foam saws for processing roll goods such as bubble wrap. 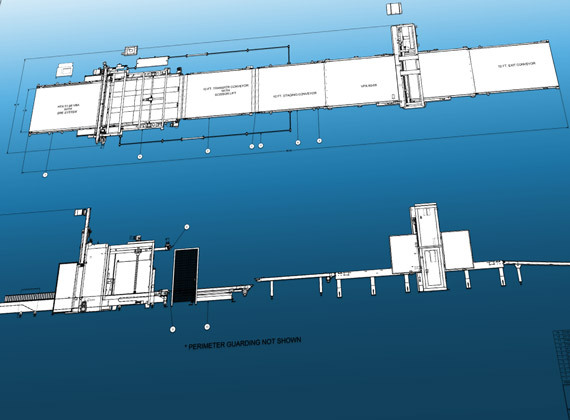 Edge-Sweets can meet your processing needs on a large scale or small scale. 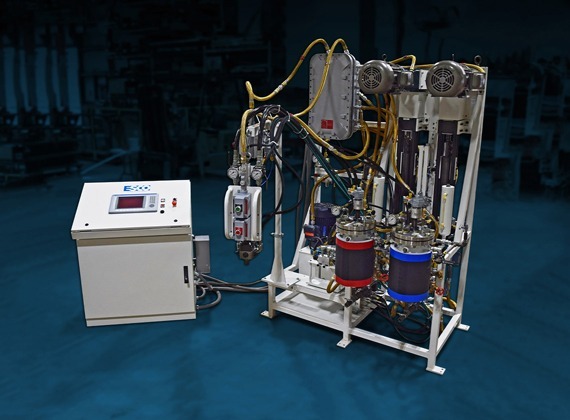 ESCO's laboratory scale; Low-Pressure, High-Pressure and Cast Elastomer polyurethane processing machinery is ideal for material or product development as well as small pilot production applications. 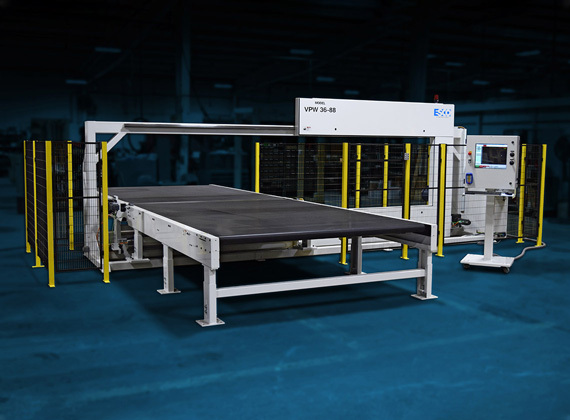 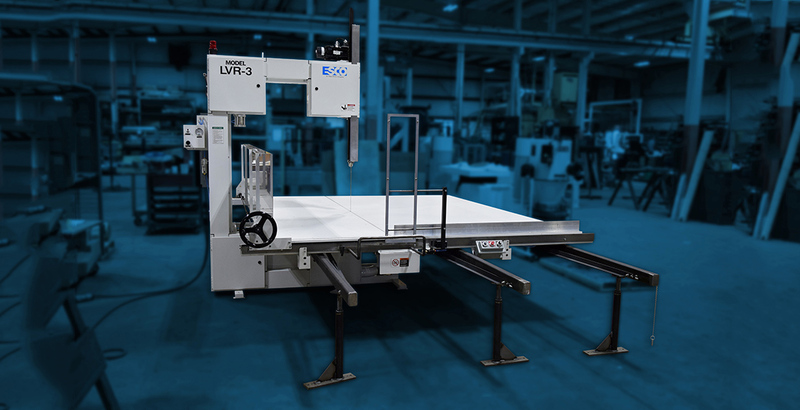 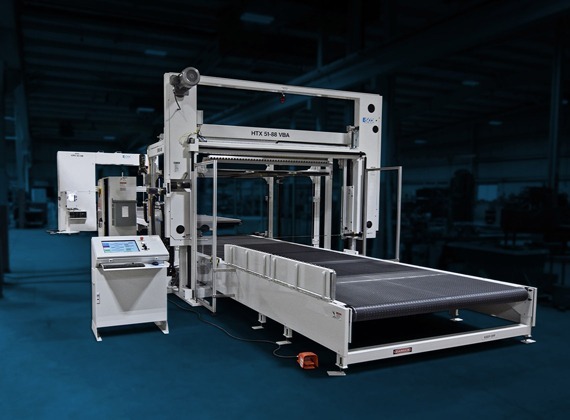 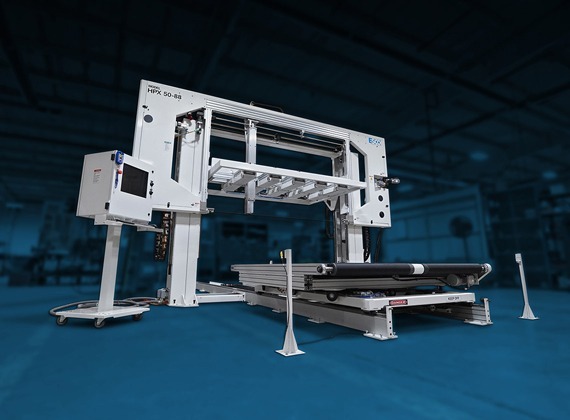 ESCO's traveling head automatic vertical (AV) saws are the perfect solution for automating repetitive straight cut operations. 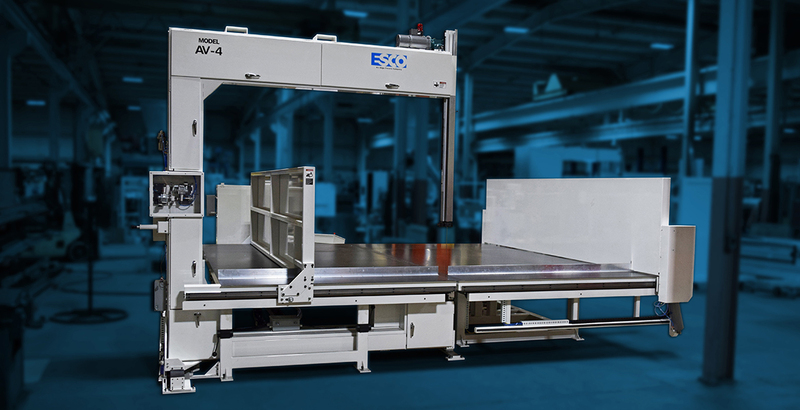 ESCO's AV models can be configured with many options such as powered inside and outside fences, turntables, sharpening systems and adjustable blade guides. 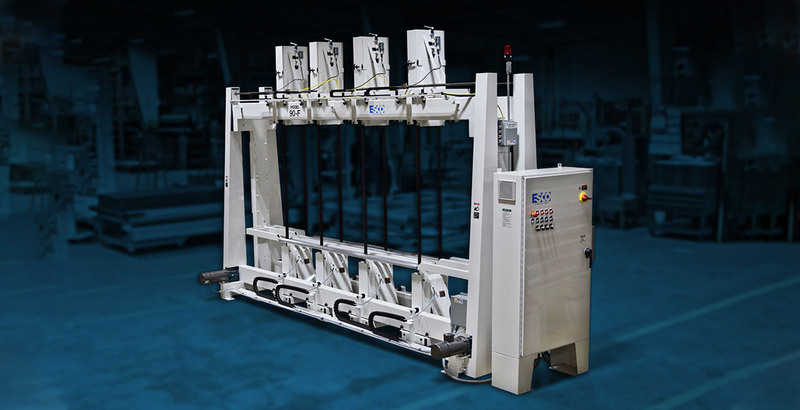 Edge-Sweets mixing heads feature a modular design that allows production and application flexibility, improved maintainability and ease of customization to fit any polyurethane process application. 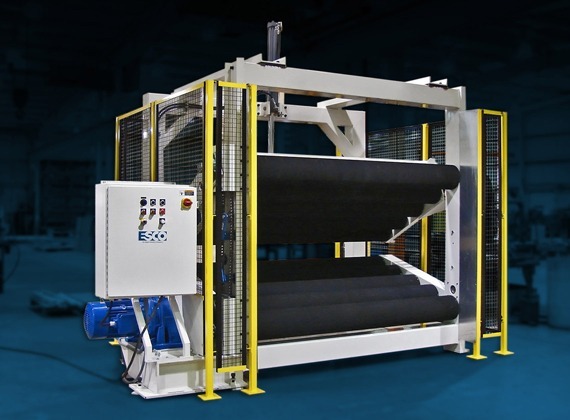 Whether you are convoluting viscoelastic foam for mattress toppers or PU foam for packaging, ESCO offers varying convoluter widths for the specific application or industry. 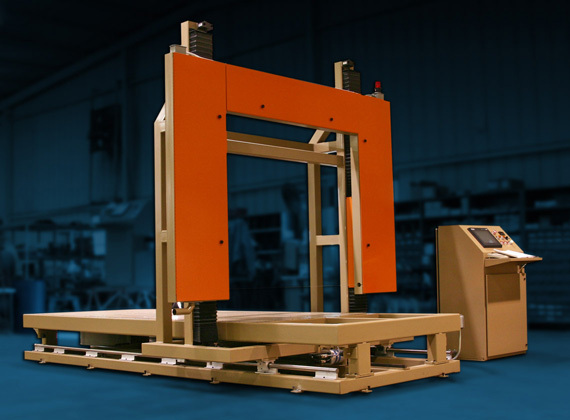 Machines may be configured with standard convolution tooling, rollers for splitting/skiving or custom tooling. 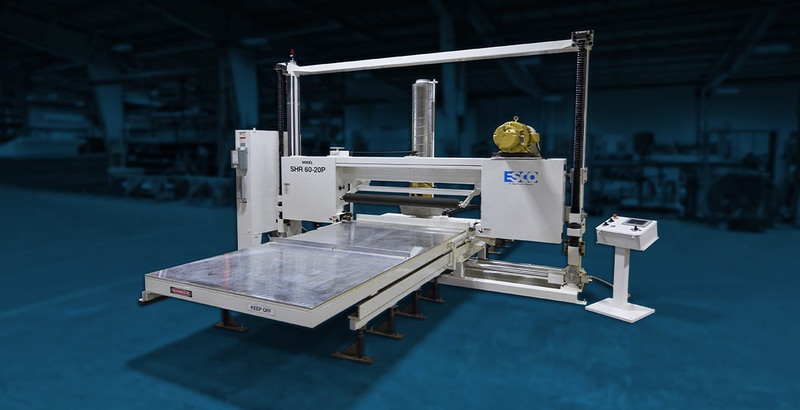 ESCO's high density horizontal cutting machinery is used for a number of rigid products including: rigid PU and PIR foams, re-bonded foam, viscoelastic foams, thermoset plastics, composite balsa wood blocks, corrugated materials, as well as honeycomb and NOMEX. 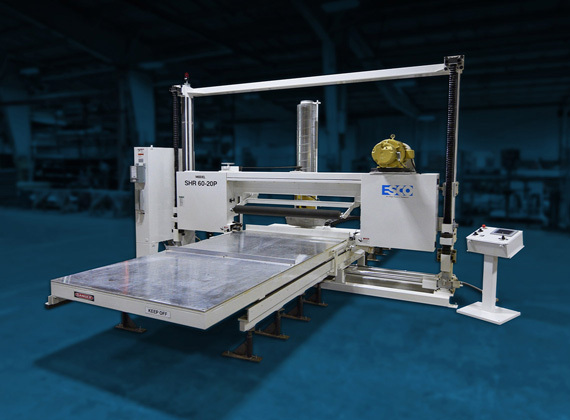 ESCO Cutting Engineering is referring to our unique ability to customize equipment to our customer's specifications. 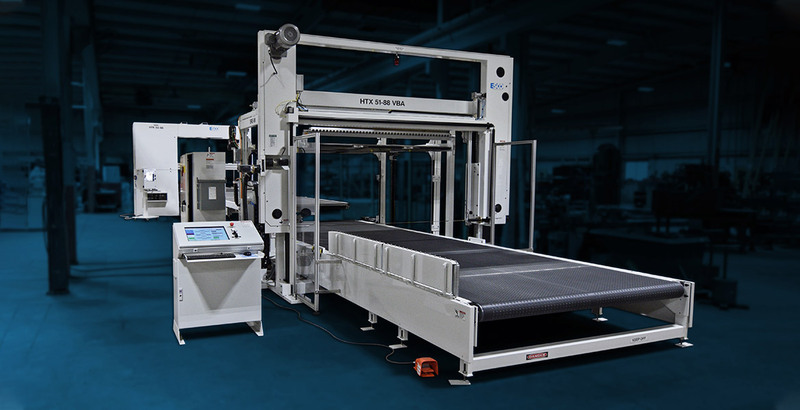 Whether it be an automatic cutting line or a special width horizontal slitter, we can handle it. 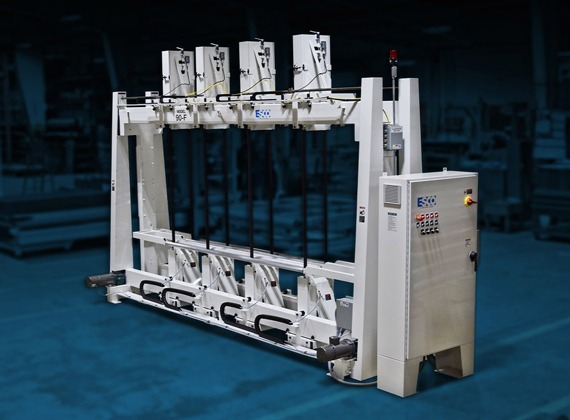 A leader in hot cast elastomer processing including TPU’s and MOCA cured systems, Edge-Sweets Co. experience ranges from optically clear bubble free systems to high output filled elastomeric systems. 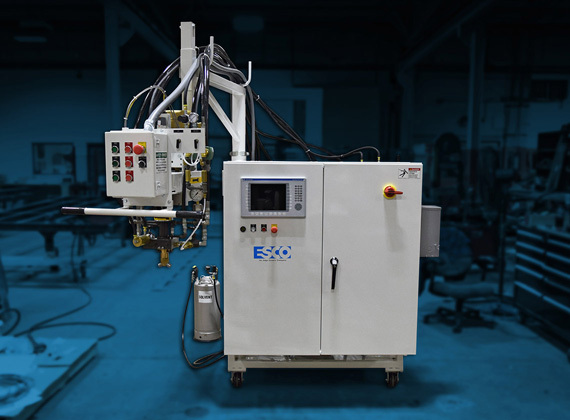 ESCO offers advanced proprietary solutions for processing elastomers. 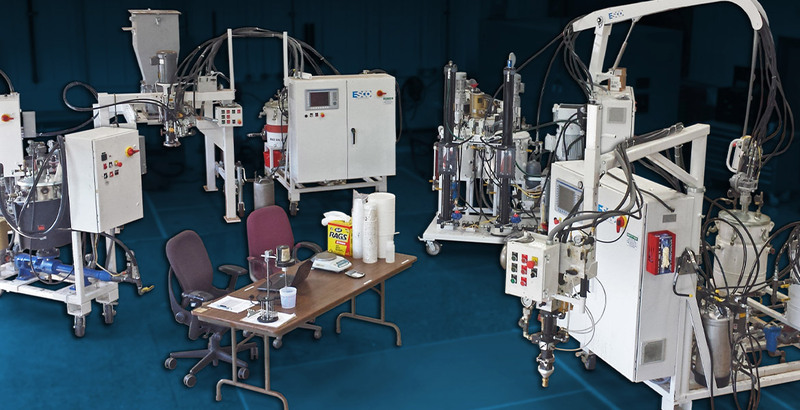 ESCO Dispensing Engineering is an overview of our entire dispensing division. 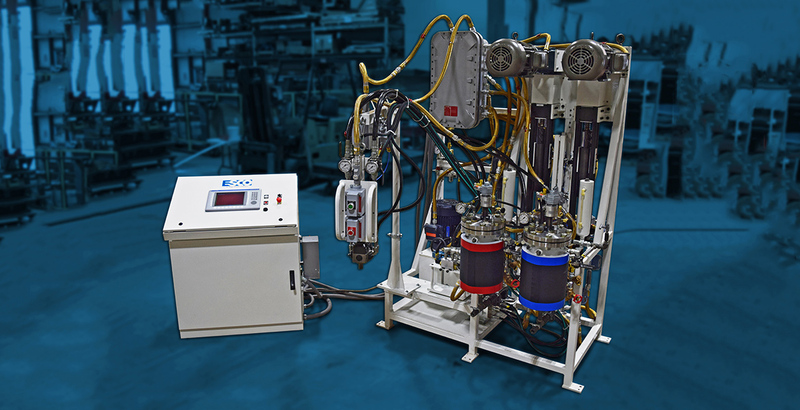 Since we have such a small standard offering of dispensing equipment, the majority of our dispensing projects are custom engineered with a focus on filled system engineering which we currently lead the industry in. 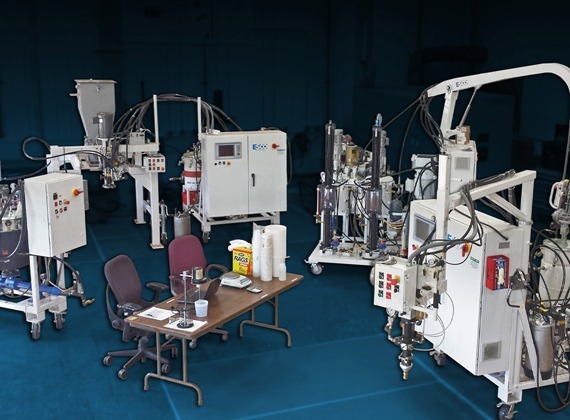 Edge-Sweets’ on-site laboratory and test facility offers customers the opportunity evaluate both ESCO metering, mixing and dispensing technology as well as to test their polyurethane system on production machinery. 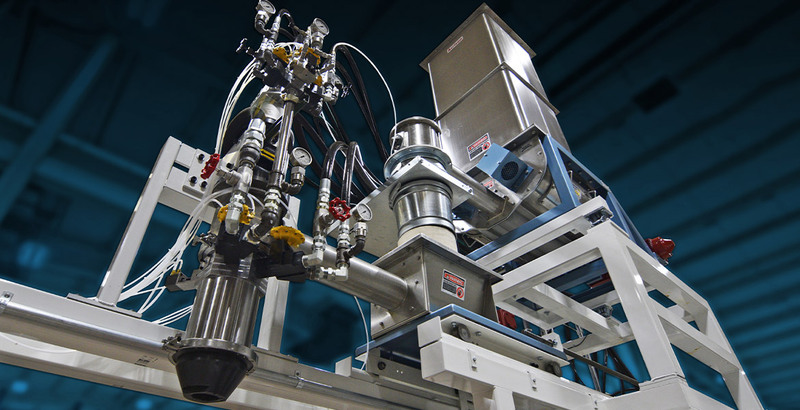 ESCO’s lab is invaluable for proving both machinery and the PU system. 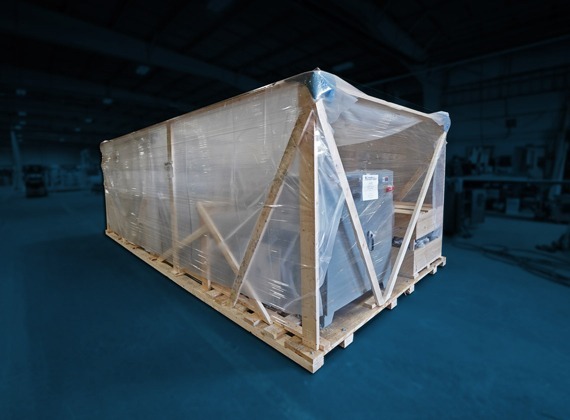 For more information regarding ESCO's machinery inventory and/or machines with quick delivery, please see this section. 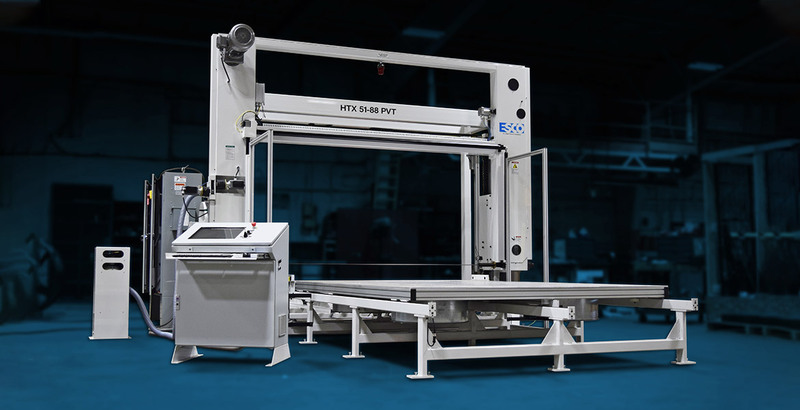 Commonly inventoried machines are: HTX Slitters, ProfileMatic III (PM III 1530), Vertical ProfileMatic (VPW 36-88), F-3W, tilting head vertical saws (A-2). 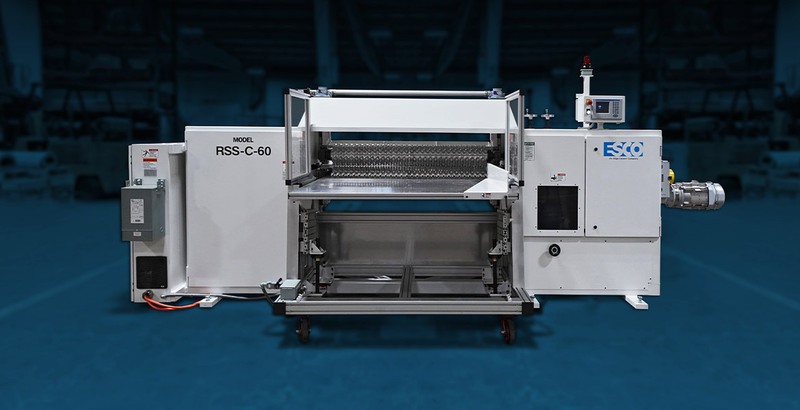 Click for details. 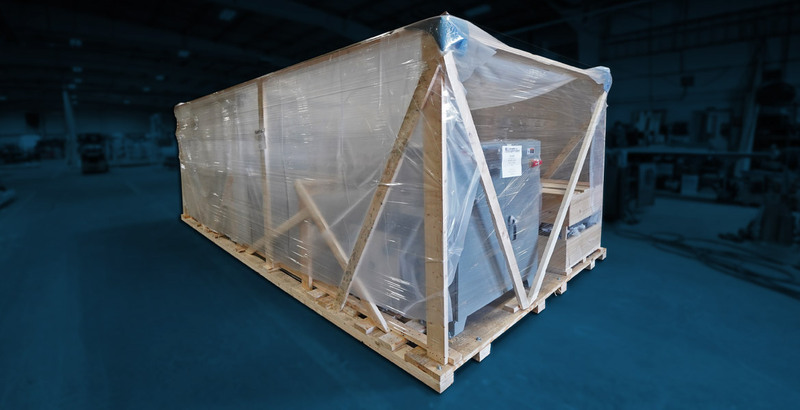 For more information regarding ESCO's machinery inventory and/or machines with quick delivery, please see this section. 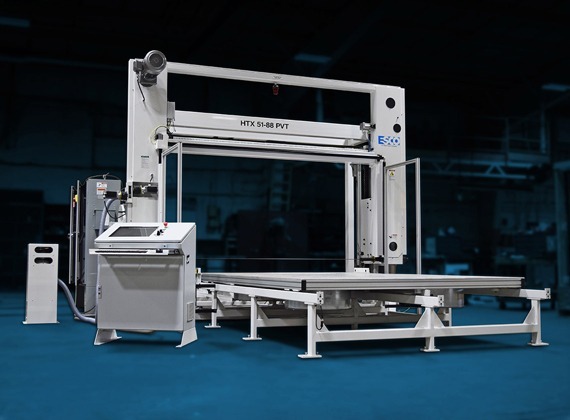 Commonly inventoried machines are: HTX Slitters, ProfileMatic III (PM III 1530), Vertical ProfileMatic (VPM 36-88), F-3W, tilting head vertical saws (A-2). 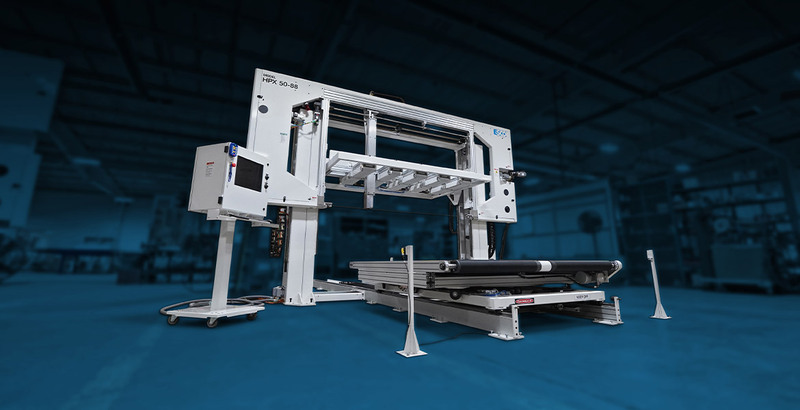 Click for details. 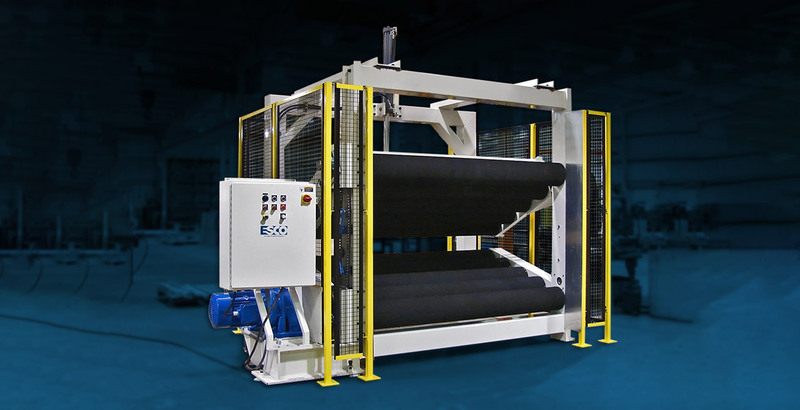 The ESCO foam block crusher is a heavy-duty unit designed to break the cell structure of HR foam, thereby liberating gases and creating a more luxurious feeling foam without the odors emitted by trapped gases. 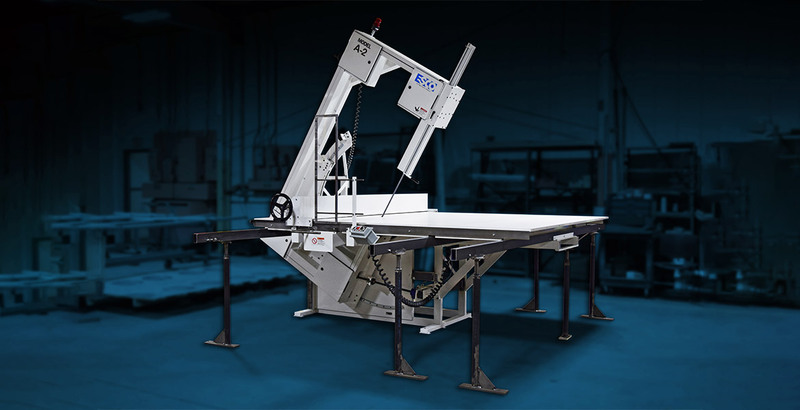 ESCO offers a range of trimmers, crushers, and cut-off saws that can operate as stand-alone machines or may be included as part of an automated slabstock or bun trimming line. 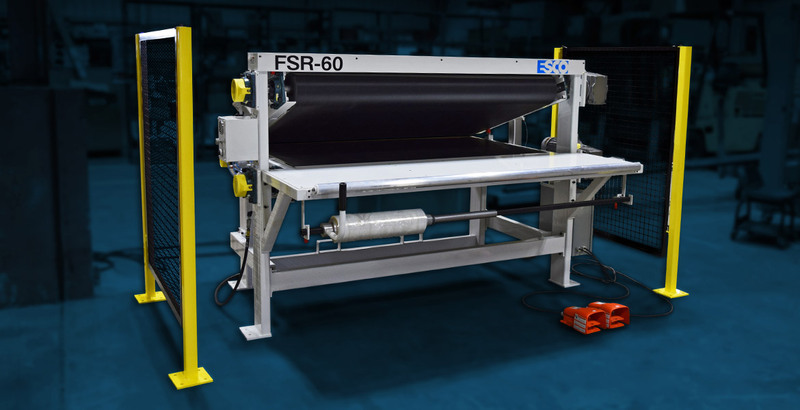 The Model C-RSS convoluter / roll splitter is a rugged unit designed to split flexible and rigid products where thin sheets from slab material are required. 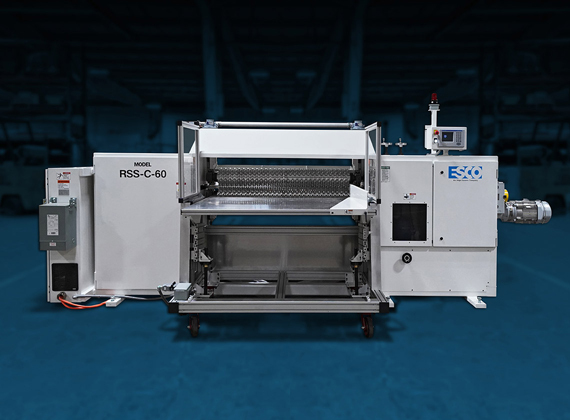 The FSR-60 utilizes robust steel frame construction to withstand constant compression loads required to effectively compress and roll foam sheets. 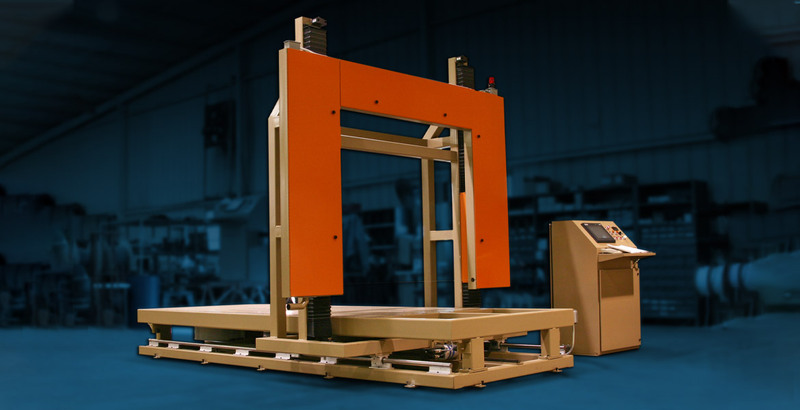 The FSR greatly reduces the amount of labor and time required to package foam for shipping. 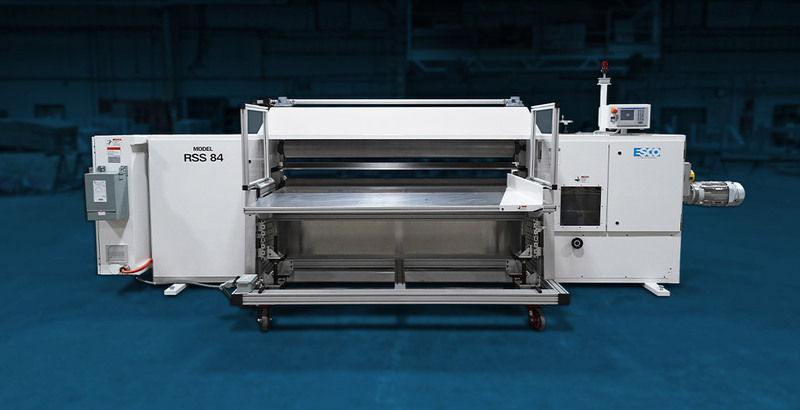 See Edge-Sweets Company at any of these upcoming events. 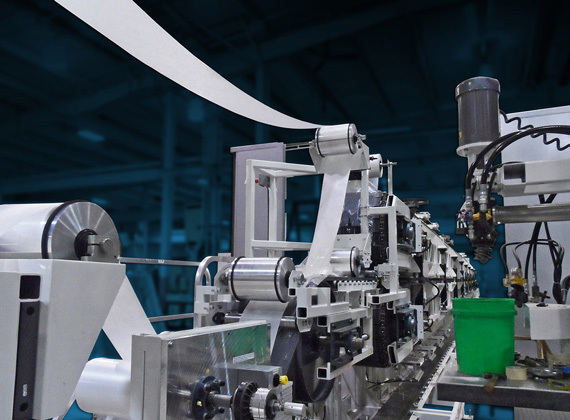 Can't find the job you want? 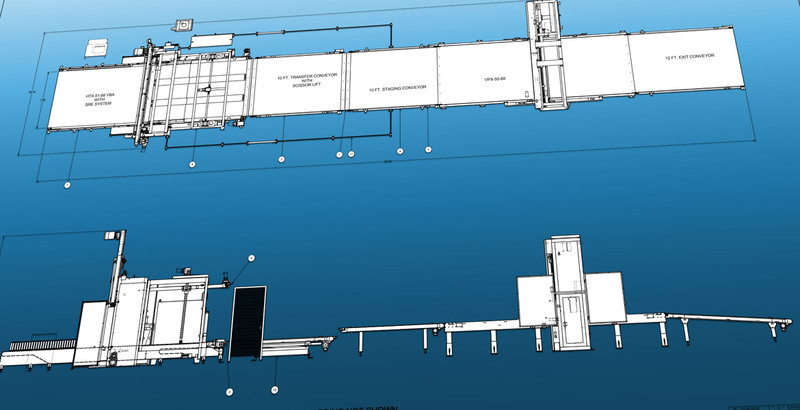 Send your resume to info@edge-sweets.com , and we'll contact you when a new position opens.